I signed up for a test knit. It is kid’s sweater I have been wanting to knit for Maya for awhile by Dani Sunshine. I love the pattern it is called Snowdrops and it is pretty brilliant it has enough stockinette to make it go quickly and a some lace detail that makes it interesting and delicate. 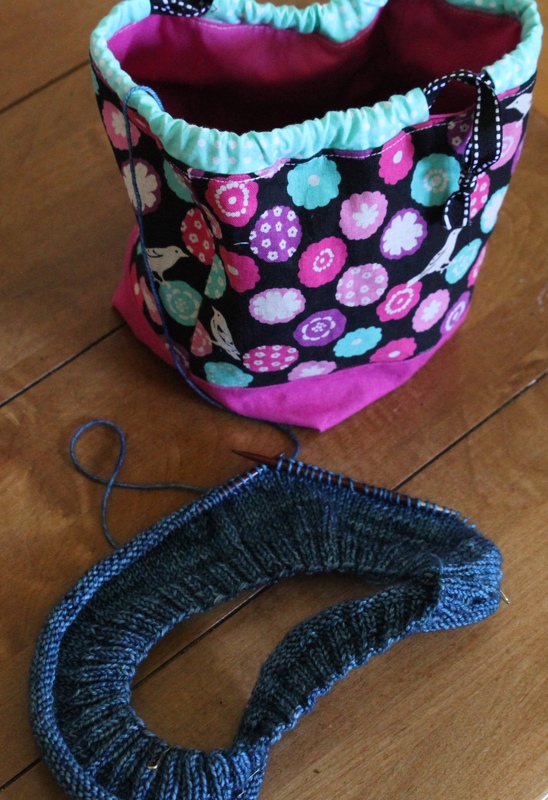 I had been thinking that I was going to have have a tough time coming up with what I was going to do for May, so it was a welcome relief to find something that I can knit in a month and want to knit. Even better, I have some Hazel Knits stash that I think would be perfect for the pattern. < Previous This one takes the cake..
Next > Does this happen to you?